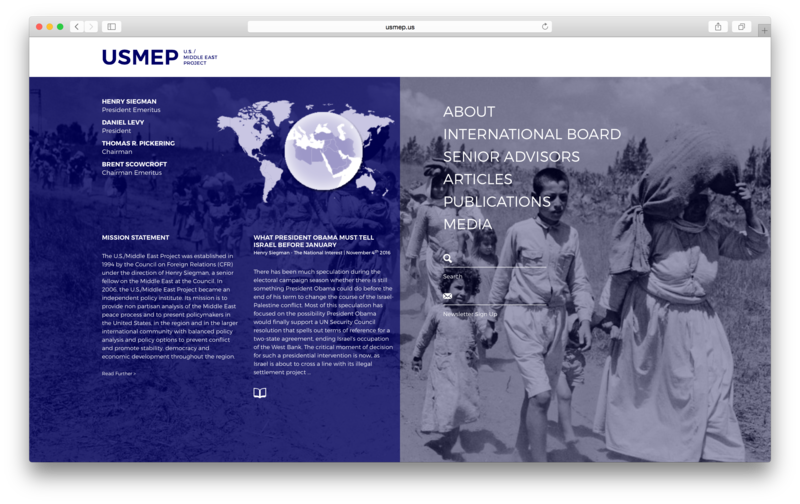 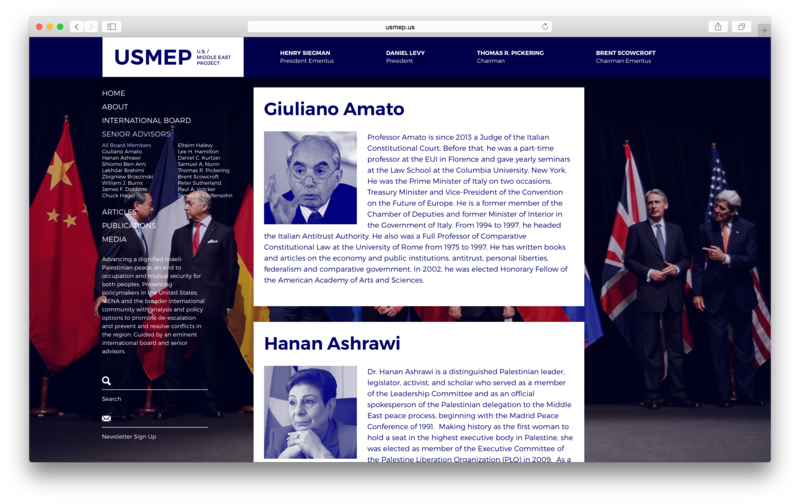 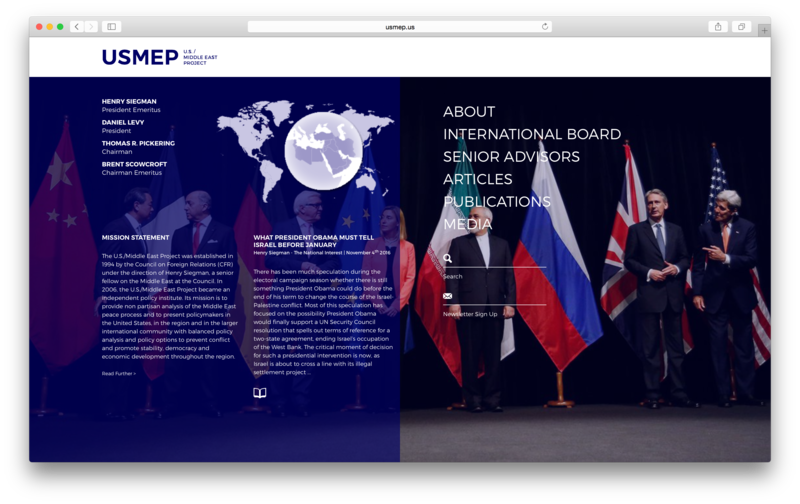 New identity and website for USMEP. 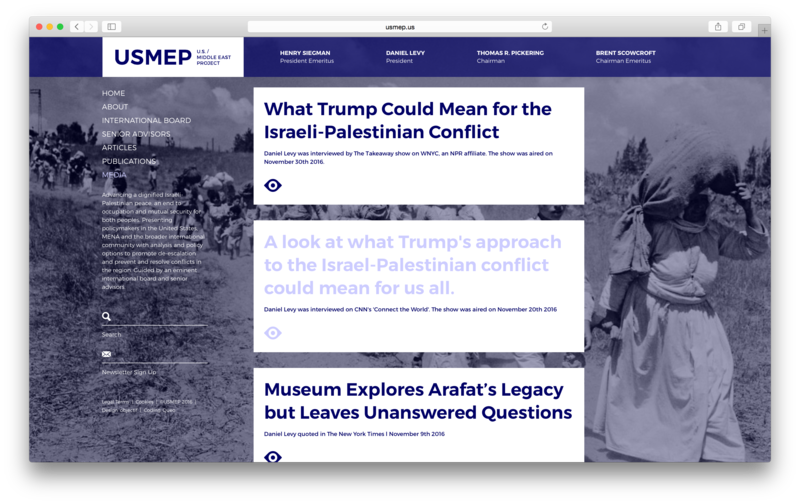 The United States / Middle East Project is a no profit organisation for Advancing a dignified Israeli-Palestinian peace, an end to occupation and mutual security for both peoples in Israel and Palestine. 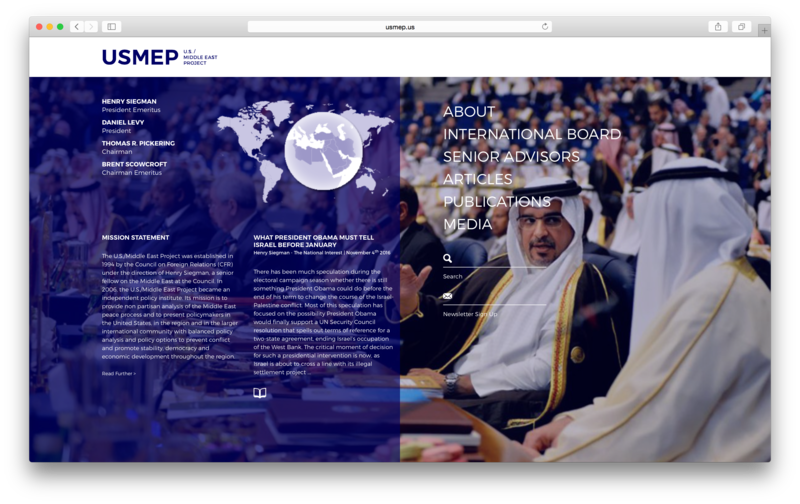 Within this website, we decided to use the images as background, while focusing on high readability for reports and articles.